Everyone knows that Amazon.com provides great prices on the items you buy everyday. You can often even get free shipping to further maximize your value. However, there are additional ways to save even more! The programs below are even more important because, in October 2013, Amazon increased the minimum order from $25 to $35 to qualify for free ground shipping. Amazon’s minimum order size for free shipping has changed to $35. This is the first time in more than a decade that Amazon has altered the minimum order for free shipping in the US. During that time, we have expanded free shipping selection by millions of items across all 40 product categories. Look for “FREE Shipping” on product pages to discover eligible items. Free Trial For 6 Months – try it for 6 months without any obligation. Annual fee of $39 – this is 50% off the normal Amazon Prime price of $79. Free Two-Day Shipping – no need to order $35 to get free ground shipping. Deals and Promotions targeted to students. Earn a $5 Credit each time you refer friends. Unlimited Instant Streaming – Watch 41,000 movies & TV episodes on your laptop, phone, tablet, & gaming console when you join Amazon Prime for $79 $39/year. Borrow Free Kindle books – Choose from more than 350,000 books to borrow for free with no due dates when you join Amazon Prime for $79 $39/year. To register for Amazon Student, click this link. 20% off diapers and wipes – Use Subscribe & Save for convenient, automatic delivery of diapers and wipes – delivered right to your door at a 20% discount. 20% off other family essentials – Choose 5 or more Subscribe & Save items to arrive on your monthly delivery day and save 20%. 15% off your Baby Registry – If you’re an expectant mother, receive 15% off the completion of your baby registry. Free 3 Month Trial – New members are eligible for a 3-month free period. Hopefully our 2 1/2 year old son will be out of diapers soon, but we’ll still continue to use Amazon Mom for all of our other household needs… like detergent, dish soap, cereal, and everything else we can get a discount on! To register for Amazon Mom, click this link. PS: I’m a guy, and they still let me register for Amazon Mom. Dad’s deserve a break in paying for diapers and wipes too! When you order a product eligible for Subscribe and Save, you’ll automatically receive a 5% discount on that product when ordering 1-4 items per month. When you order 5 or more items, the discount will increase to 20%!!! I’ll often stock up on items just to make sure I get the 20% off my order, rather than the basic 5%. Amazon will automatically place your orders and deliver them to you by your monthly Subscribe & Save delivery day. Cancel anytime – no commitments, obligations, or fees and shipping is always free. Sometimes, when ordering from Amazon, you don’t need $35 worth of stuff to get free shipping. But, it’s not economical to buy online and pay the shipping. If your order is $35 or more, you may qualify for free shipping. With free shipping, your order will be delivered 5-8 business days after all of your items are available to ship, including pre-order items. Or, you really need something quicker than the 5-8 business days that the free shipping will take. Upgrade to next day shipping is as low as $2.99 per item (varies by item size and weight). Instant streaming of over 41,000 movies and TV episodes through Prime Instant Video. Over 350,000 books to borrow through the Kindle Owners’ Lending Library. When paying for the items in their cart, most people would just whip out their credit card and charge away. However, that will not net you the most benefits… even if you’re paying with a card that offers rewards! 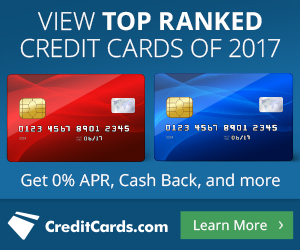 Certain cards will pay you 5x points when shopping at Amazon! Chase Freedom – has quarterly promotions which offer 5x spend for a limited time. From October through December 2013 purchases at Amazon and select department stores, such as Kohl’s, Macy’s, Sears, and Nordstroms receive 5x spend. Activation is retroactive to October 1! Chase Ink Plus and Chase Ink Bold – this business credit card gives 5x points at office supply stores, like Staples and Office Depot. I buy Amazon gift cards at Staples, then load them onto my Amazon account. It’s an extra step, but I’m often at Staples or driving by there, so the extra couple of minutes are worth it to me. Put another way, for a domestic round-trip ticket on United, it would take 25,000 miles. I could spend $25,000 on my Chase United card at Amazon… or, I could spend $5,000 and earn 5x my spend in points to earn the same 25,000 points in 20% of the time. You tell me which way you prefer to earn a free flight. Amazon generally has the lowest prices available, combined with ease of ordering, and most items are shipped free. With any combination of Amazon Student, Amazon Mom, Subscribe & Save, Amazon Prime, and certain credit cards, you can really turbocharge your savings and be another step closer to financial freedom.